The Nature in Bloom flower bulb fundraiser is a wonderful Fall fundraiser. Your supporters will plant the bulbs in the Fall and watch them blossom in the Spring time! Every bulb is guaranteed to bloom. It's a simple, colorful, earthly fundraiser that your group and your entire community will enjoy. #1 Fall Flower Bulb Fundraiser! 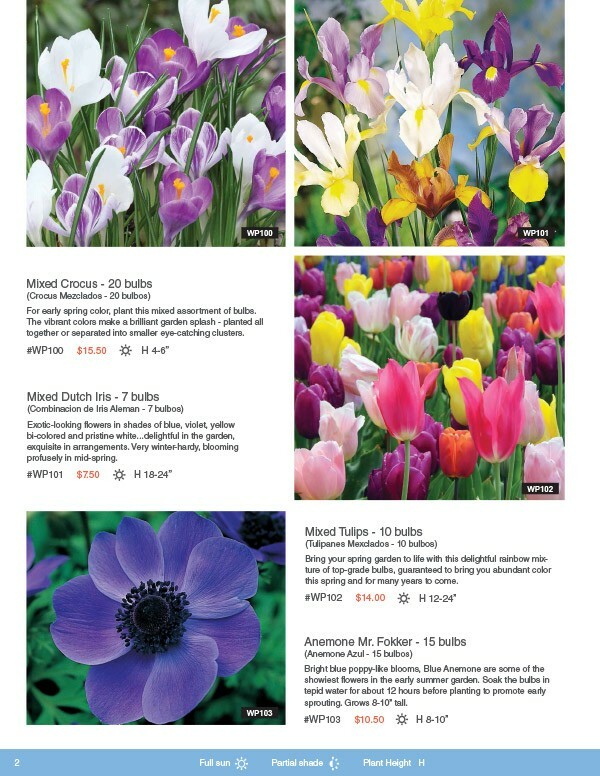 Wide Variety of Bulbs to Choose From: You and your supporters can choose from 24 items whose different prices are listed in the colorful 8-page brochure: Mixed Crocus, Mixed Dutch Iris, Mixed Tulips, Anemone Mr. Fokker, Glory-of-the-Snow, Cool Blue Collection, Drumstick Allium, Mixed Daffodils, Paperwhite Narcissus, Whimsical Collection, Mixed Grape Hyacinths, Mixed Hyacinths, Sky Blue Lily, Allium Giant, Mixed Rock Garden Allium, Greenland Tulips, Pink Tulip Blend, Mixed Anemone Blanda, Dutch Master Daffodils, Super Spring Collection, Spring Rock Garden Collection, Rembrandt Tulip Mix, Ground Cover Mixed Tulips, Pink Allium. 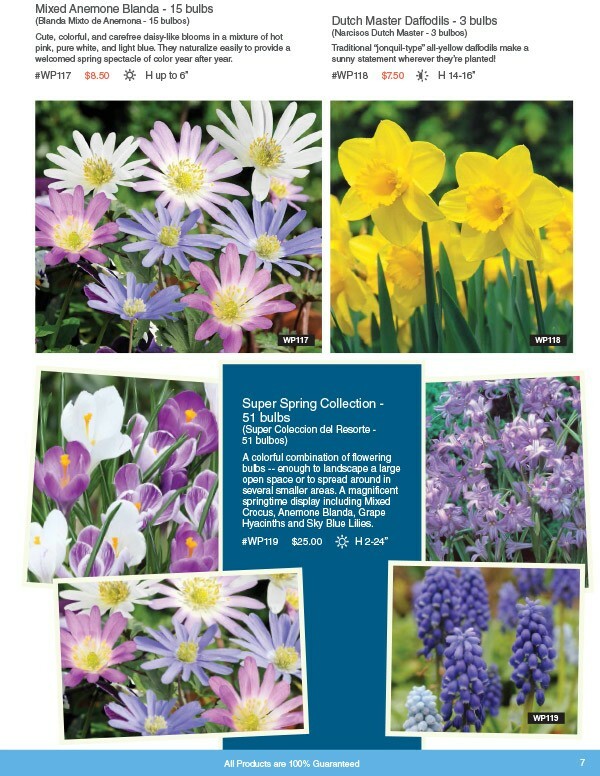 Nature In Bloom Flower Bulbs,We’re privileged to carry this products. 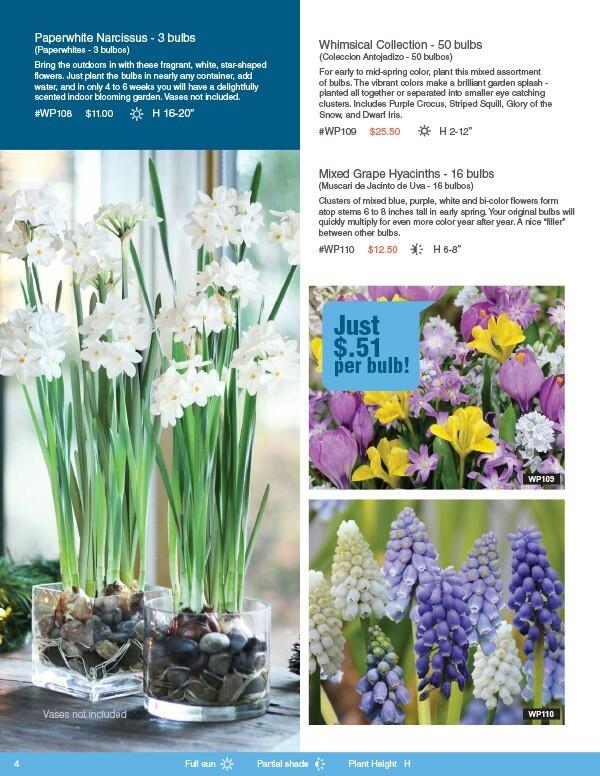 With this line of premier-quality bulbs, your supporters can expect to have gorgeous flowers within a short time, and your group can expect quick sales and easy profits! 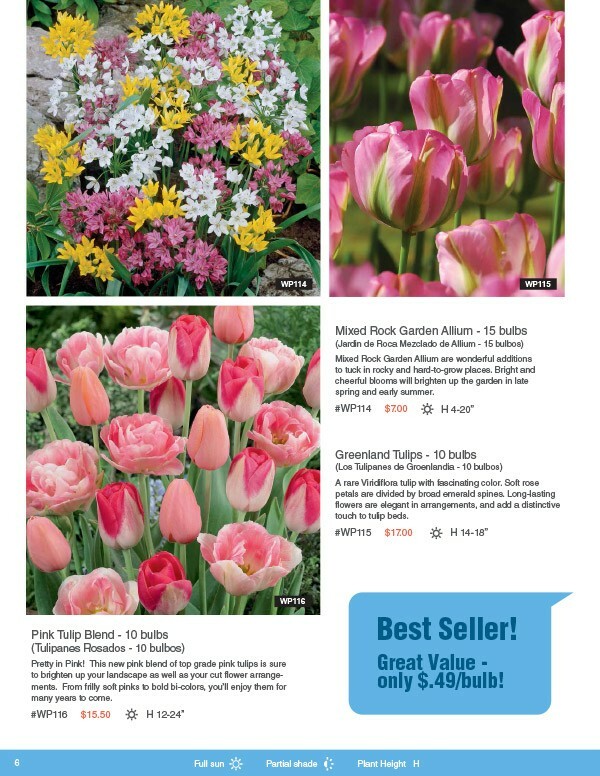 Premier Quality: Nature In Bloom Flower Bulbs sells excellent-quality flower bulbs—every bulb is guaranteed to burst into bloom. Your customers shouldn’t be surprised when these bulbs grow into the most beautiful flowers they’ve ever seen. 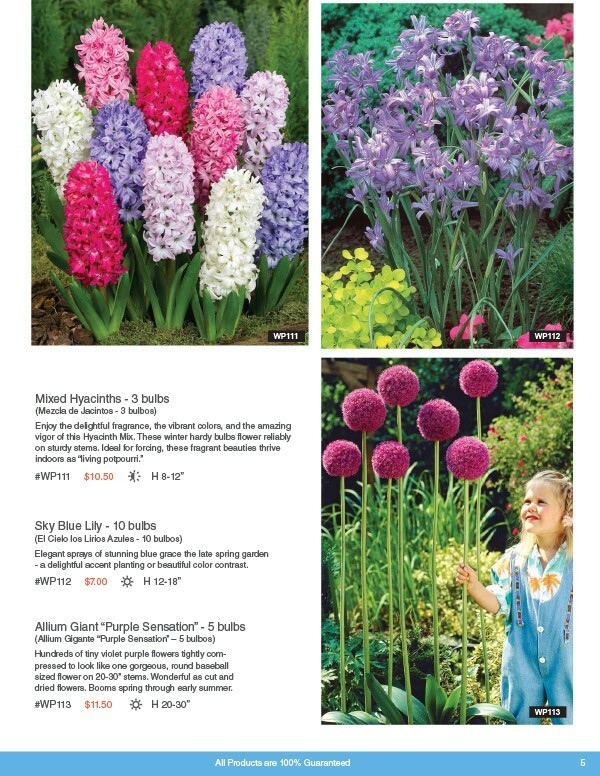 FREE to Start: The Nature In Bloom Fall Flower Bulbs order-takers are absolutely free, so go ahead and order 1 for each of your fundraising members today. Reach Your Fundraising Goal: Your group keeps 50% Profit: You group keeps 50% of everything you sell. So if you sell $2,500 worth of bulbs, your group keeps $1,250 profit! Priced to Sell: Each item in the package is sold in the range of $7.00 to $25.50; prices are listed in the brochure. Free & Shipping: Your fundraising group receives free shipping when you sell $1,000 retail or more. That’s easily attainable by a small group of 20 participants selling 6 items each. Annual Seller: Nobody can resist adding a touch of floral beauty to their home, whether it’s the house, the porch, or the patio, so don’t be surprised if this becomes an annual seller! BONUS BULB GIVEAWAY! 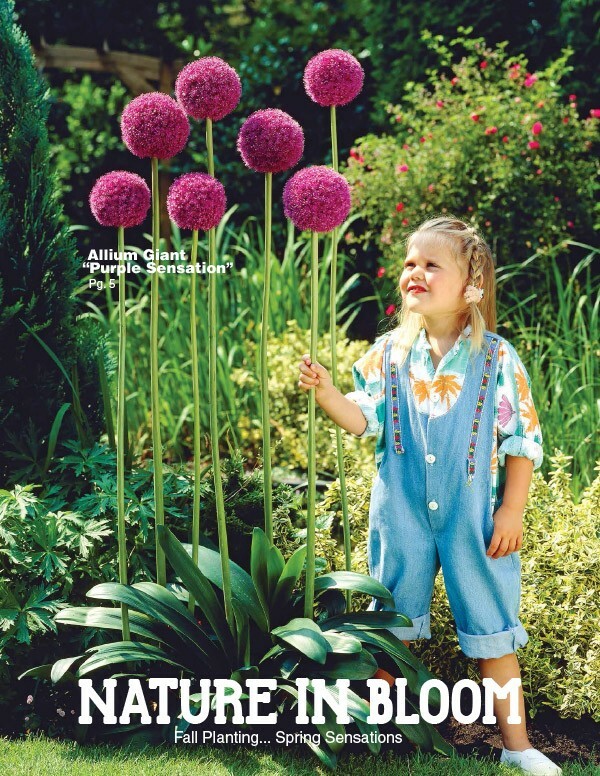 For every 500+ units sold from the "Nature in Bloom" brochure, we will ship 325 BONUS BULBS at no additional charge with your order. How Does the Nature In Bloom Fall Flower Bulbs Fundraiser Work? 1. 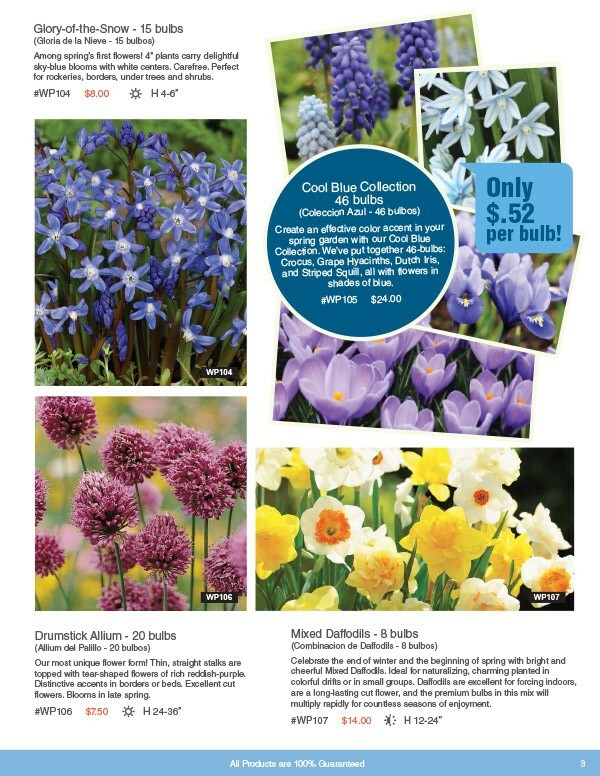 Order 1 Nature In Bloom order-taker PER fundraising participant – they’re FREE of charge! Product Availability This brochure and products in the brochure are available from August to November. Our field hockey team used this fundraiser as a back up to our usual campaigns. We usually do car washes and other things, but we never know what to expect to raise so we figured we would try something different. Our team of 15 sellers ended up raising over $1,300 in profit! The money will help pay for our end of the year dinner and different things that come up during the year. We will definitely plan to do this again. Our fundraiser was great! We had a group of 18 sellers and we raised over $900! We even had a group member that sold 56 items on their own. We were raising money for a new trailer for our Pathfinders club. Our softball team raised $1300 profit with just 10 players. One of our players single-handedly raised $500 profit by herself by bringing it to the hospital where she is a nurse. 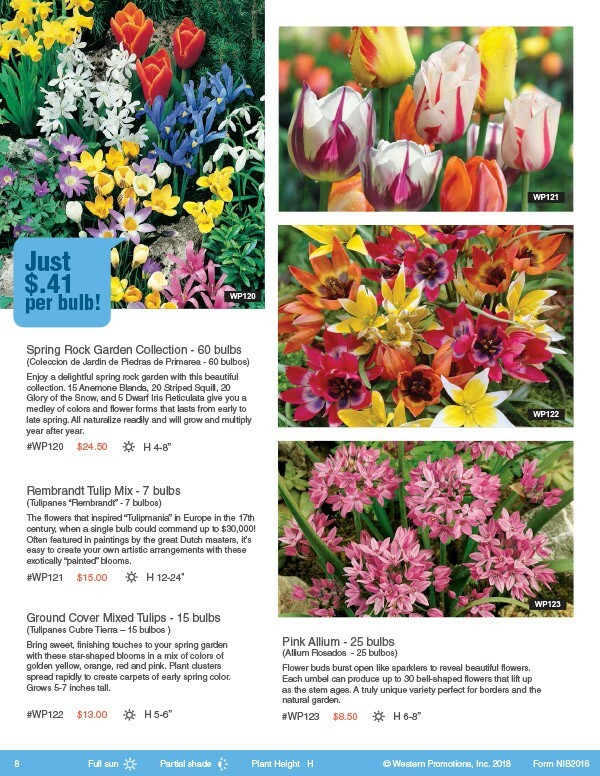 Nobody had sold flower bulbs in our town, so it really helped having a fundraiser product that was unique.The catalog provided to us by JustFundraising had amazing photos and really helped generate sales. We also used Facebook to get the word out in our community. Thank you to all who supported us!